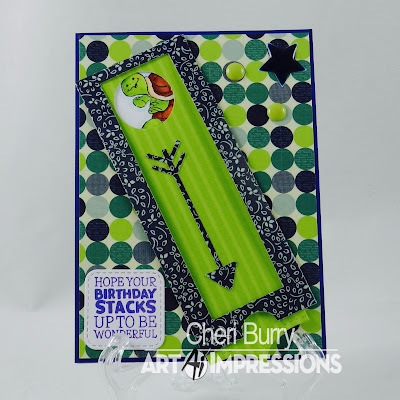 Art Impressions Blog: Turtle Stacker! 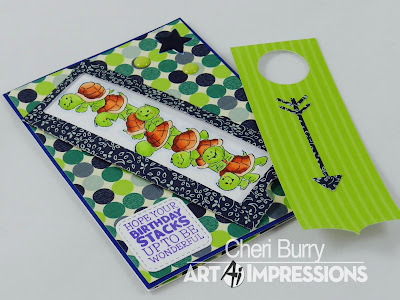 Today I am sharing with you a card I made using the Turtle Stackers and Slider die from Art Impressions! 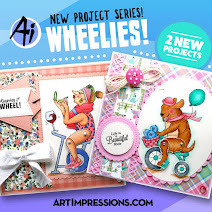 I love this cute concept as it sure adds a fun interactive element to your cards! I thought this paper from the Bo Bunny Family Is collection was perfect to use with the greens in the turtles! 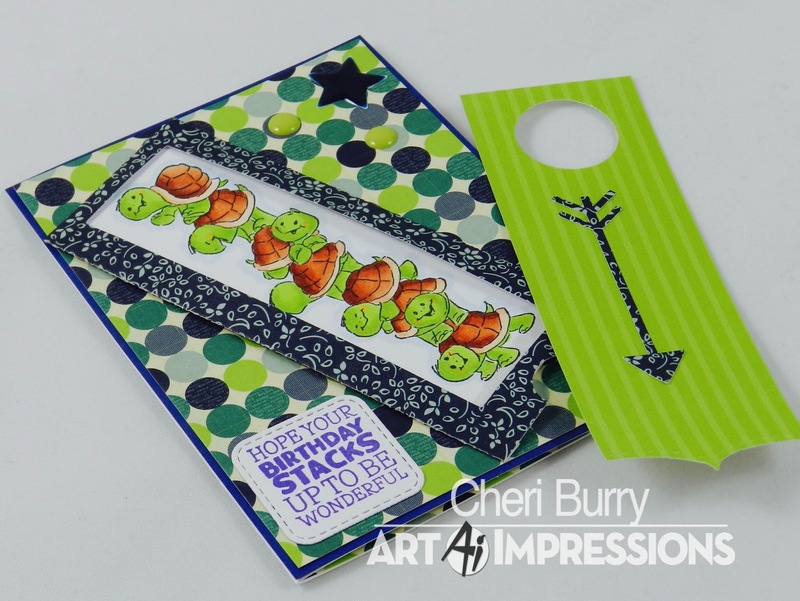 The sentiment comes with the Turtle Stackers stamp so it's a perfect match to your stacker! 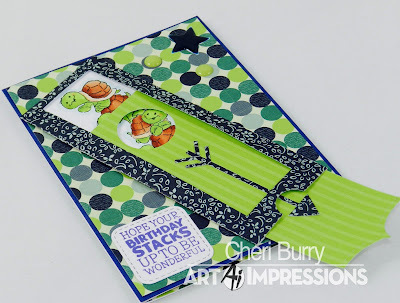 For this stacker I decided to cut a circle in the top of the sliding portion for a little sneak preview. 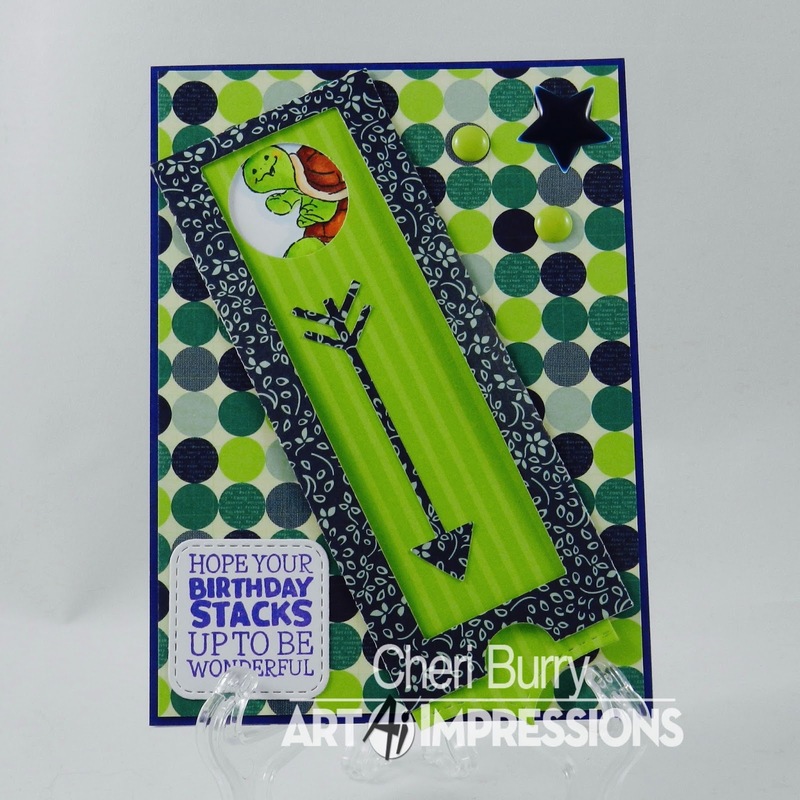 It's super easy to make these stacker cards with the Slider die! 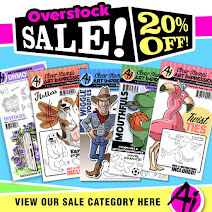 It does all the work for you! 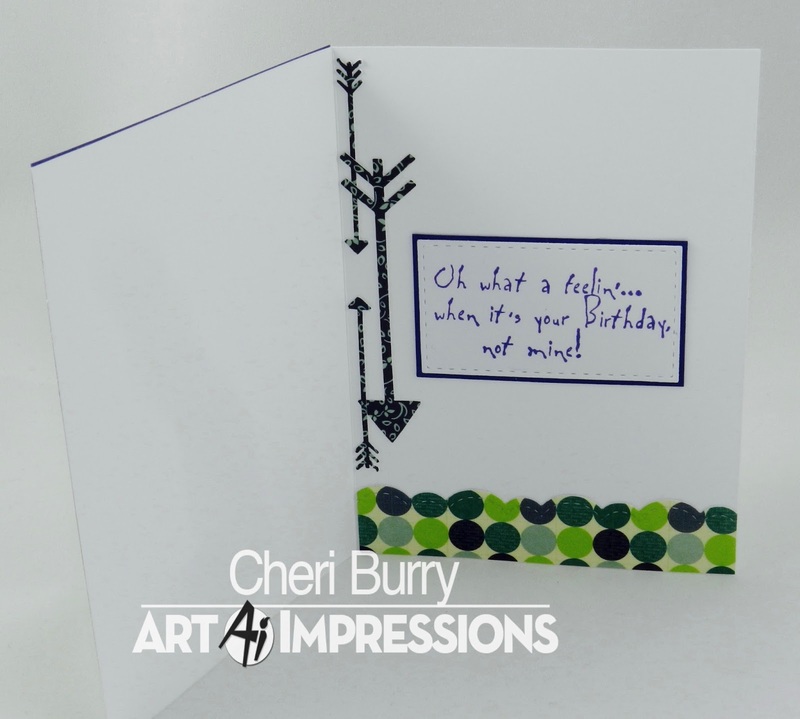 On the inside I added the Ai sentiment called "What a Feelin"
Adorable card, Cheri! 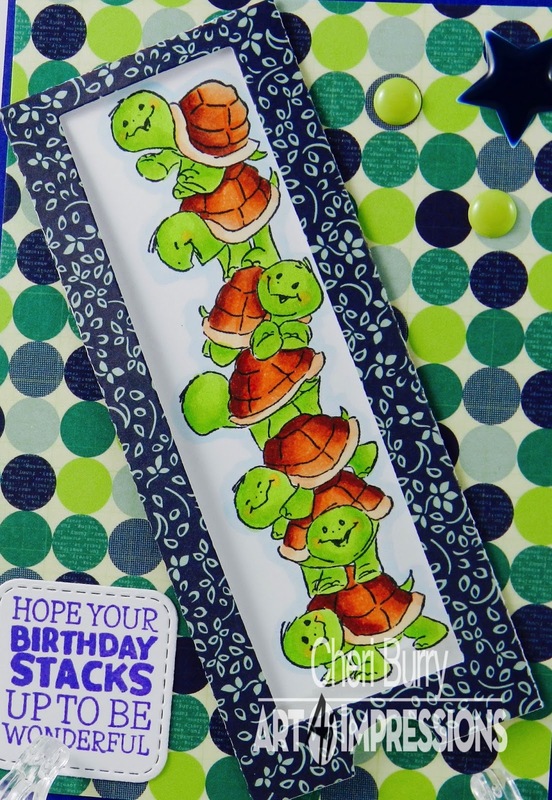 Love the papers you used and those turtles are just too cute!! That arrow you used on the slider is awesome! So cute! 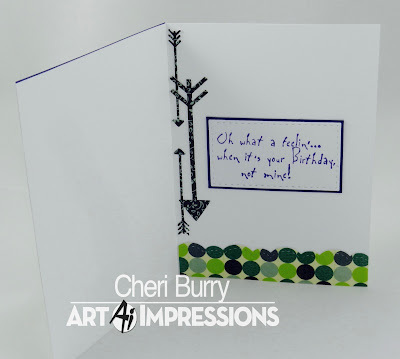 I loved how you carried the arrows to the inside of the card too. Too too cute, I'm in love with these turtles! Love the arrow action, super cool!